Back by popular demand, FOWPS have planned another fun run (this is not a timed event). 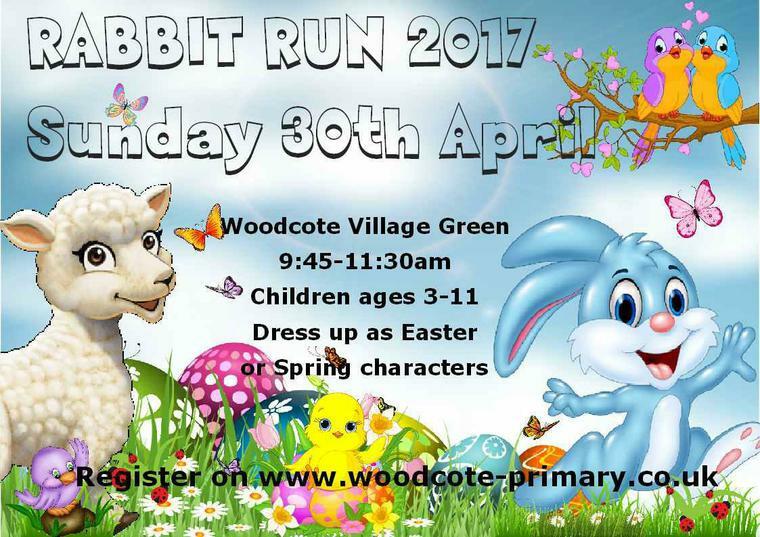 With a cheerful springtime theme, this fun run is for children aged 3 to11. You do not have to be a student at Woodcote Primary School to participate. Please bring along your butterflies, bunnies, chicks, lambs, bugs and other springtime characters to join in. The entrance fee is £5 per participant payable by 28 April 2017. Sign in for all entrants at 9:45a.m. Spectators can enjoy tea, coffee, hot chocolate and cold drinks and a breakfast butty or cake which will be on sale before, during and after the runs. There will also be Bunny ears for sale. Please submit the form above first, then pay your registration fee of £5 before April 28th, 2017 to the school office.